Olivier Kamanda read the "Invisible Child" in the New York Times. It was about Dasani, a 12-year-old Brooklyn girl and her family. They were homeless. Through social media, it prompted an outpouring of support for homeless families. Kamanda was the speechwriter and senior advisor to Secretary of State Hillary Clinton. He was volunteering at Miriam's Kitchen. 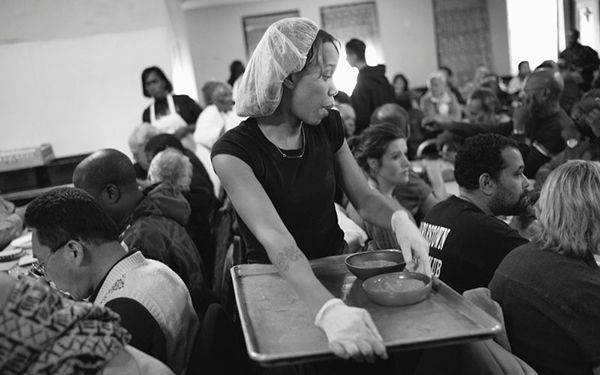 It provides meals and social services to the homeless near the White House. The organization was about to launch "The Way Home Campaign." They would lobby the DC Council for more permanent housing. He used crowdfunding to raise nearly $20,000. He used it to build a mobile app called Ideal Impact. The app determines the key social issues discussed in any news story. Then it suggests organizations that support those causes. Suppose you read a powerful story and think, "How can I help?" Ideal Impact can offer opportunities to volunteer, work and donate. People may wish to help when they are reading about a problem. News stories about issues such as homelessness or climate change prompt us to get involved. But we dont often know how. Meanwhile, 1.6 million non-profits are constantly looking for volunteers, donors and community supporters. Nearly 73 percent of charitable giving comes from individual donors. And on average, it takes non-profits 23 hours to recruit each volunteer. If we don't connect people who want to help with organizations that need support, we lose 90 million possible volunteers, donors or advocates for their causes. Their potential support in terms of service and donations amounts to nearly $207 billion in lost economic activity. When readers care about news stories, Ideal Impact connects them with places to volunteer, donate, advocate and find jobs. Our mobile, web and digital media tools make recommendations for addressing the problems in an article. You install the Ideal Impact app on your mobile or desktop. You can read news from any source. If a story moves you, you click the Ideal Impact button. It will appear in the main menu of the app or your browser. This will load the app, which will offer you opportunities to work with and support non-profits and action groups. They have been vetted by third-parties such as Charity Navigator and GuideStar. They've been reviewed by community members. In fewer than three clicks, weve taken you from moment of inspiration to a meaningful opportunity. More important, the app can potentially show the true value of service. Ideal Impact helps you be part of a community, find purpose-driven work and feel satisfaction from using your skills to help others. These experiences define who we are and what matters to us. We hope to expand opportunities for people who see community service as a true reflection of their personal values. Were working to launch our pilot in Washington, D.C. It will feature a test group of organizations that are recommended by our supporters. Well use the data we gather from the pilot to refine our app and build additional features. Then we'll offer the app to more non-profit organizations and action groups. After that, we'll offer the app to media companies that want to turn their news into actionable content. We can give them an Ideal Impact badge that integrates our matching formula directly into their websites. We think this will help news and media companies measure the emotional impact of their articles. It will help build stronger relationships with their readers. 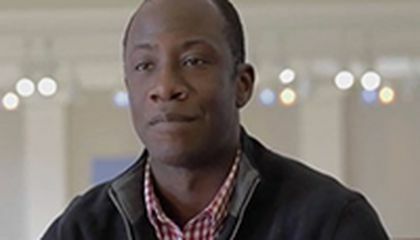 A man named Olivier Kamanda is trying to create an app that correlates news stories to charities that allow concerned readers a way to get involved and change the news that moved them. Lots of people really wish that they could get involved with charities by donating or volunteering. It can be a discouraging process however and people do not want to work with charities that do not spend money well, cheat the donors and are frauds, or make the application process a hassle. These pesky problems with todays charities cause many people to hold on to their time and money that they wish would be used to help make the world a better place. Kamanda is trying to fix this problem with his new app called Ideal Impact. Ideal Impact will show people what good, charities their are out there that relate to whatever topic someone might have. It is spoon fed volunteering and donating, a much need resource in today's times. I think that this app really is a great idea and can benefit so many people. I am however concerned on how the app plans to make money because I do not think anyone is going to pay for someone to tell them where they should pay more money and it seems like an expensive app that would not run itself and always constantly need people to correlate good charities to articles. Let those homeless and poor (within appropriate limits) people get an account and let them write an article on how they live and how they are treated and depending on how many reads, they donate to those people lets say 4x the amount of reads. Do what you find necessary. I think that it is a good idea to house the homeless and feed the homeless because without help from people, homeless people are going to die of hunger also bad weather without people providing them houses, also food to eat. Well if homeless people are going to come inside the kitchen, I think that it is a good idea for people to volunteer to help the homeless people provide comfortable houses to live in. I think this is a great idea to help non-profits to be able to get more volunteers. If I was looking to volunteer, I would totally do this. I think this is a good idea to help non-profits to be able to get more volunteers. If I was looking to volunteer, I would really like too do this. It like the Apple watch that just came out to let people read and write on this watch. Oliver is a famous book that people have read and it is also a play. This article was interesting indeed. It was about a man that looked in the newspaper and decided to make an app that was related to that. I think that this article was very interesting because it is cool to think that after reading the newspaper you could do something awesome. I think we should read the newspaper more often. a app that recommends opportunities based on the news they read. This is very interesting because if people are struggling to find a job this app can help them. I really liked this article, the idea behind the app is incredible! This is a really good idea, because with this app there will be more volunteers and therefore more people will be helped. I also love that the volunteers will really enjoy volunteering in that area with this app. A 'non-profit and issue-oriented organization' that I recommend is none of them. None of them because I don't know any organizations that can help the world. But I have read lots of books and watched movies, about saving the world. I know that one thing you can do to help the world is don't litter, and pick up any trash you can see around your area.